Are You Afraid of Numbers? Have you been hiding from your small business finances? Are you worried if you look too closely you’ll find out how bad the numbers look? Do you feel embarrassed that you don’t have all this in order and under control? I have a track record of success helping people just like you conquer this problem and grow their profits. I explain things in common, everyday English. I give clear, easy examples. This is a common challenge for entrepreneurs and small business owners. In fact, it’s one of the reasons so many businesses fail in the first three years. But every time you seek a solution it puts you to sleep, overwhelms you, or ends in public shaming. You work hard. Really hard. But your profits have flat-lined, or worse, fallen off a cliff. IMAGINE a course that combines creative thinking, rock star energy, and practical solutions. IMAGINE a place to learn that’s safe, supportive, and responsive. IMAGINE feeling empowered by your finances, not intimidated. Are You Rock Star Material? Are you looking for practical solutions? Ones that don’t involve endless spreadsheets? Do you feel like finance is a foreign language? One without a dictionary, a road map, a GPS, or even directions sketched on a napkin to guide you? Ancient Greek would be easier! You might be star material… keep reading. Do you believe numbers jump off the page at night and rearrange themselves simply to mess with you? No? *cough* Ok we can skip that one. This course takes backstage roadies and turns them into Finance Rock Stars. It’s not all after parties and screaming fans. There’s real work involved. I don’t have a magic wand that will do everything for you. If you want an instant solution please don’t sign up. I want to be sure every slot is filled with people who are 100% committed. Still reading? Great! Let’s talk turkey bacon. Wondering about that (cool) cat on the left? 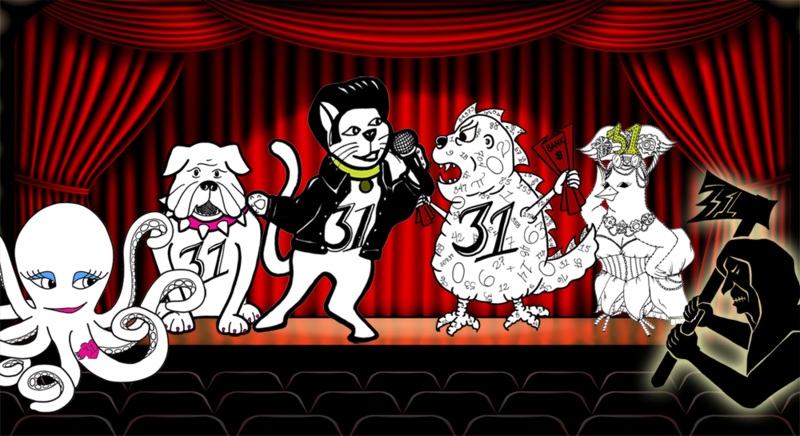 That’s Fluffy the Finance Feline, the tour mascot. A mascot is a touchstone, a rallying point, and a cheerleader. Click here to meet the whole crew. Tours don’t run on guitar riffs alone. Besides the main act, there will be an entire crew to ensure things run smoothly. Of course our crew is a bit different than your average group of roadies. 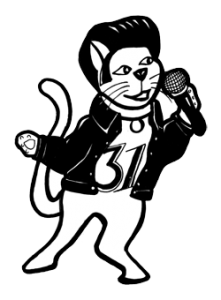 It started a few years ago when Fluffy the Finance Feline joined forces with Nicole, becoming The Numbers Whisperer® mascot. A mascot is a touchstone, a rallying point, and a cheerleader – who wouldn’t want one? Fluffy is quick to pounce on profits and helps everyone in the course do the same. Like potato chips we couldn’t stop at just one. A hero needs a villain to fight right? Of course bad guys seem to flourish, so Fluffy needed additional help. The crew now numbers six. Let’s meet them. I hired Nicole to help me figure out how to increase my inbound cash flow. Her advice on focus, product mix and pricing was right on the mark and, by implementing her suggestions, I was able to increase sales and grow my business quickly. I highly recommend Nicole as an adviser and coach. She is bright, personable and knows her stuff cold. 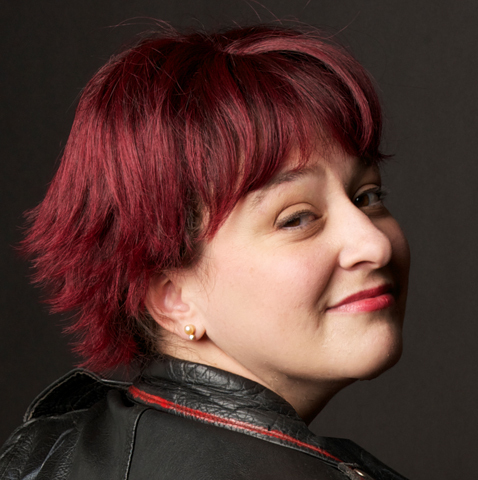 As an author, speaker, accomplished air guitar player, and tamer of finance fears, Nicole enjoys helping small business owners reach multi-platinum profits. She coined the moniker The Numbers Whisperer® so potential clients would know working with her would not be business as usual. While Nicole’s credentials may impress (Actuary, Chief Financial Officer before 30, Investment Banker in Asia), her true claim to fame is her ability to make finance fun. Her secret weapon in achieving this mission? The most infectious laugh you’ll ever hear. 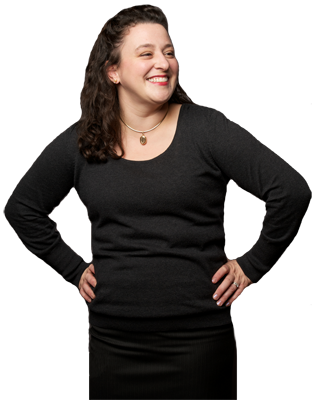 Nicole has mastered the art of entertaining entrepreneurs while boosting their bottom line. From the villainous Number Muncher, to the endearing mascot Fluffy the Finance Feline, Nicole takes finance into uncharted territory. 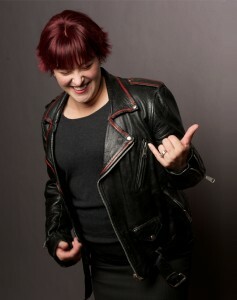 The entire cast of characters can be found on her blog, as well as in her book How to be a Finance Rock Star. Talking about numbers, pricing and profit is already scary. Add in the possibility that someone is going to sit in judgement and your stress levels will spike into the stratosphere. Who would do that, much less pay to do it?!?! There is NO judgement in this course. None. Zero. Promise. I’m a finance rock star, not a music critic. My sole goal is to help you grow your profit. Yes we’ll look at your current status, but that’s only to understand where we are starting from. If your goal is to sell 1 million records you need to know how many you’ve already sold. It’s a piece of information, like knowing the sky is blue and grass is green. Would you point your finger at the sky and yell, “Shame on you for being blue!” Of course not. Join the tour. No judgement, just fun and profit. I know many people would you rather chew broken glass while watching paint dry than talk about finance. While all this fun and laughter sounds great, how can you be sure I mean it? I created the following pledge (plus a cool graphic). If you don’t laugh I’ll eat my pocket protector*. That’s right, I’ll eat my pocket protector. 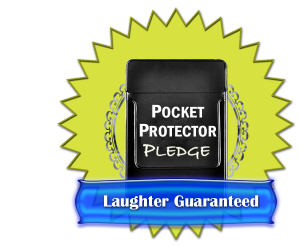 Oops… did I just admit that I had a pocket protector? Can we keep it as our little secret? *I reserve the right to add tabasco and wash it down with an adult beverage. You’ll be surprised how much you learn about yourself and your business through the way Nicole teaches numbers. Nicole never made me feel that my questions were stupid or unwanted. The tools and information that Nicole has given me are so amazing, valuable, and easy to use, they shouldn’t even be called “Finance” anymore! Are you wondering how exactly this will work? What am I getting? Fear not! Here are all the details. Avatars, (finance) rock tour bus, and more! I’ve gamified the course to make it a fun challenge. Level up each week in your pursuit of Rock Star Status. 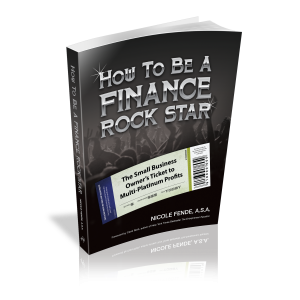 Based on How to be a Finance Rock Star by Nicole Fende. Gamification is the use of game thinking and game mechanics in a non-game context in order to engage users and solve problems. In other words in makes things more fun, like playing your favorite board game. 2. What if I don’t learn anything? I’ll refund your money. If you do all the coursework and learn nothing that will help grow your profit I’ll return your money. I shouldn’t keep your money if I don’t deliver a service. 3. Why do you have two different hair styles? The purplish red hair is a wig. 4. Why isn’t there any yellow highlighter on this page? Because I hate the yellow highlighter thing. 5. What if I can’t play air guitar? No problem! If you want to learn I can teach you that too. Nicole knows how to make money! She clearly saw a specific and achievable revenue stream that was invisible to me. And, she laid out the next steps I needed to take to get going. So, why would you wait? Call her and get the goods yourself. Ready to be a Finance Rock Star? Join the Tour & Take Your Profits Multi-Platinum! P.S. Last chance – watch paint dry or Rock Your Profits!